Smith Myers Communications Ltd is a unique British company that specialises in cellular surveillance and counter-surveillance capabilities. Smith Myers design, develop and manufacture all of our own hardware and software in-house, including writing cellular protocol stacks, at macro cell level. Coupling our proprietary protocol stacks with our leading-edge Software Defined Radios offers users a uniquely powerful and flexible range of equipment. Our solutions are fully software defined and as such can quickly evolve to meet new and emerging requirements. 2017 brought the launch of several new products all based around our new industry-leading architecture which has been recognised by The British Engineering Excellence Award for Aerospace Product of the Year. Smith Myers have been quietly producing and supporting industry leading products worldwide since 1986. Security, law enforcement and intelligence agencies around the world regard Smith Myers for their expertise, discretion, integrity, quality of equipment and customer support. ARTEMIS-L is our new, small and lightweight UAV monted system based upon our award winning ARTEMIS Airborne Qualified system. These have been designed to accurately identify, map and locate cellular telephones in the challenging airborne environment. ARTEMIS-L uses a proprietary Software Defined Radio and proprietary Cellular Protocol Stacks designed and developed by Smith Myers and optimized for airborne deployments. Our auto triangulation algorithm achieves impressive accuracy compared to the inherent resolution offered by the protocol itself which allows for highly accurate and long range geolocation. 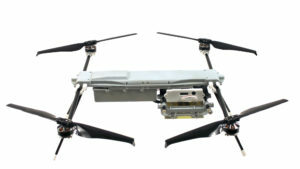 The small and versatile package allows for quick and easy integration onto most fixed or multi-rotor UAV platforms and provides users a unique capability.